(Bloomberg) -- The year was 1989 and Mark Read, armed with degrees from top-tier academic institutions and an appetite for business, wrote an application to Martin Sorrell, the founder of a little-known advertising outfit snapping at the heels of the titans on Madison Avenue. Management consultancies such as Accenture Plc and McKinsey & Co. are boosting their marketing expertise as they help clients develop websites, e-commerce and smartphone apps to serve customers who are buying more through the internet. Facebook Inc., Alphabet Inc.’s Google and now Amazon.com Inc. are dominating the digital ad business, which is sucking dollars away from the conventional advertising that was long WPP’s expertise. 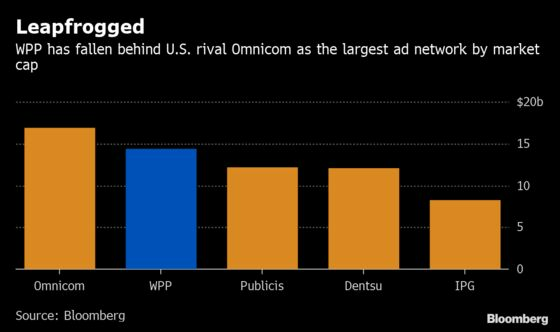 Once the challenger, WPP was already beginning to lose business with key customers such as Volkswagen AG and AT&T Inc. during Sorrell’s final years in charge. In October, one of WPP’s biggest and oldest clients, Ford Motor Co., canceled its lead creative brief, wiping out as much as 1.5 percent of WPP’s revenue, according to Kepler Cheuvreux analyst Conor O’Shea. Read has had a rocky start since he was named permanent CEO in September. WPP’s struggles in North America, its biggest market, forced a revenue outlook downgrade in October and Read froze hiring the following month in an urgent effort to rein in costs. 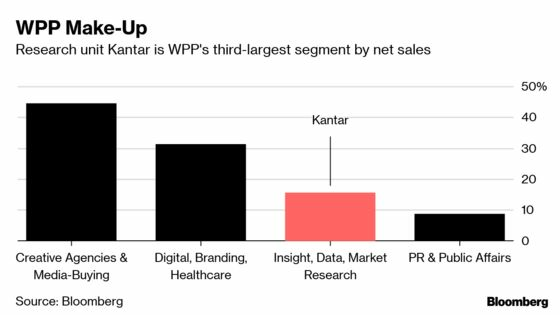 The company wants to sell a majority stake in its Kantar data and market research unit, which could be valued at about 3 billion pounds ($4 billion). WPP’s shares are down 26 percent since the departure of Sorrell, who went on to found an advertising company called S4 Capital Plc. There have been some green shoots for Read, whose boldest moves to date have been to combine digital outfit VML with creative network Y&R and merging famed creative agency J. Walter Thompson with the more digital-focused Wunderman, which Read led successfully before becoming WPP CEO. Wunderman Thompson won the lead creative brief for battery brand Duracell in March and VMLY&R scored $25 million of new business in its first 90 days, but WPP’s stock has hardly budged since he revealed his vision for the company in December. WPP executives are backing Read’s self-described “radical evolution” for now, according to interviews with senior managers. They highlighted WPP’s annual strategy confab in New York as an example of how he’s improving the culture. Sorrell would often grade the financial performance of WPP agencies with a traffic-light system, which left those exposed feeling humiliated. A fixture at the annual Davos economic gathering, he would also bring in celebrity speakers such as former British prime ministers Tony Blair and David Cameron, to chew over issues of global business and geopolitics. Read used last October’s gathering to win over WPP’s top leadership to his ideas, according to several senior managers who attended. The atmosphere was positive and his approach was collaborative, with more open discussion, said the people, who asked not to be named discussing internal matters. Where Sorrell used to micromanage, Read has formed a 20-strong executive committee to help run the group. People around him say he is more willing to delegate, take on feedback and lead by consensus. Sorrell hasn’t gone quietly. Still WPP’s 10th-largest shareholder according to Bloomberg data, the 74-year-old businessman has built marketing group S4 Capital to compete with WPP and hasn’t held back from criticising his successor’s approach. WPP executives say Sorrell is no more than a minor distraction for Read, who is focused on delivering his plan. It’s still early days for Read, but if by next year there is no sign that the approach is working, the pressure on him will grow, said Bloomberg Intelligence analyst Matthew Bloxham. 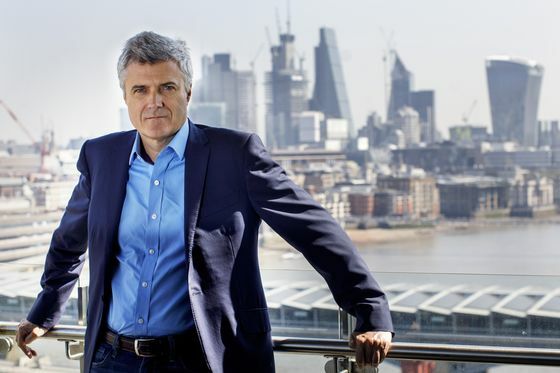 With WPP’s revenue and profits ebbing away, analysts are speculating about a possible takeover or break-up and Chairman Roberto Quarta could soon be under pressure to justify his choice of a company insider to overhaul WPP.